I'm, ahem, making the case that this be a Squad Mission. I've picked it up, and am going in blind this weekend, outside of knowing that people I trust are saying the right kind of things about this game. It's on iPhone, iPad, PC, Mac...surely covering enough platforms to make this a viable and affordable bit of gaming that we can all throw our two cents/pence/lire on. This has been on my radar the past couple weeks, and I'm really excited to finally play it. Awesome. This should be a good discussion. Played a couple of hours last night and it's one of the most engaging experiences in recent memory. I'm writing case notes on paper as I play, which is a good sign. Each new sliver of information or avenue for questioning - a passive level of questioning, given how you're delving into archived footage - brings up some new level of complexity. It's really quite excellent. I'd like to see more in the way of multimedia -- newspaper clippings, police reports etc. -- but otherwise, this is really good stuff. I glanced past it at first but it's officially on my "someday" list. Maybe whenever I'm done with my next little game or whatever. It's not even the FMV that intrigues me, but the idea of spending the whole game searching a fake computer database. We talk so much about exploring worlds but almost no video games ever have you explore digital systems in the way we actually interface with computers. I'm looking at it as an adventure game in that sense. The only other thing I've played that even comes close is a couple iOS games collectively called "Sound Story" I believe. In each one you basically just spend 10 minutes reading journal entries trying to piece together a story. In the second one you're under a time limit to sift through a computer hard drive, culminating in odd sense of impending doom. I'm down for this. Squad Mission. Anybody remember the old HACKER C-64 game where you spent the entire game just poking at a text prompt and finding out super secret stuff through databases and janky old modem lines? This could be the same thing only with a healthy dose of Under a Killing Moon thrown in for good measure. My mother-in-law is in town for 2 weeks, which happens twice annually. She loves watching Lynette and I play games in the evenings though she usually looks on in bemusement if not complete confusion at whatever we happen to be doing. She loves Assassin's Creed, bizarrely. Anyway, this thing could be enjoyable to spend time with. My ma in law is huge into the CSI type shows so I'll post some thoughts on the game and her reaction to it once we get cooking. I just bought the ticket. Let's take the ride. Hey everybody - I've been absent posting a while on account of work being nuts, but since I've got a few minutes today, time to do a brief infodump about this fascinating game. Lynette and I hopped on Her Story sometime last week, "finishing" it over the course of about 3 days. While the game does have an ending, it's also one of those endings that asks a lot of the player, going as far as to say "when you feel you understand what happened to enough of a degree that you're satisfied, click here." I knew Her Story was probably going to be interesting, and I was right. We started googling for the typical patterns. Murder, blood, alibi, victim. You really have to hand it to Sam Barlow (aka Mr. Silent Hill: Shattered Memories) this game does 100% nail that scene in cop movies where the detective sits there in front of some microfiche terminal chain smoking cigarettes while crafting an elaborate chart of who/what/when/where on a corkboard. While totally minimal, I very much appreciated the little details of the UI - the flickering halogen light, the quiet whirrrr of 1990s era search-and-seek HDDs each time you queried something -- the minesweeper-like "mirror game" (heh) in the garbage can and the .txt readme explaining the game's mechanics in a totally intuitive and elegant way. It's gloriously minimal, 100% effective and also very genre-appropriate. Grace Kelly ASCII art brought to you in this text file by some 90s-era WAREZ group. In our case, the corkboard and string setup amounted to Evernote and an Ipad. I was running the intelligence correlation process, sticking digital 'pins' into the wall and scribbling dozens of little Dragnet-style sentences such as "Simon -> blond hair -> glasses -> mirror." Lynette drove the keyboard, freeform correlating topics and brainstorming leads. Nobody was smoking, but alcohol was definitely being consumed. Procedurally, we broke the note-taking down into categories... so, "dates" "people" "things", "events" etc. were populated and backfilled as our understanding of the case deepened. I wished later that we'd gotten out in front of the tagging process of the individual videos from the very beginning. It was only later that we started using the in-game "database checker" and a systematic archival methodology to begin penciling in tags like 9-12 to represent "clip 12 on the 9th row". After we did this, the files got much easier to index and rewatch and orienting clip X in the larger scheme of things got easier. Blue dress, Hannah, Interview02, 9-14. Her Story grants achievements for progression (among other things) so, 25%, 50%, 75% etc. of the clips viewed gets you a cheevo and lets you get a sense of more or less how you're making out with your True Detection. It's very easy to get to the 50% achievement mark - you can easily accomplish this by just punching CSI terms into the system and listening carefully... but to get higher than that requires increasing amounts of creativity. To get to the level we did requires you also take those leaps of intuitive knowledge, "what if..."ing your google searches. We found that after the initial pass you have to start getting creative with how your approach the clips. Exhausting all the simple search terms of who/what/where/why will only get you so far. What ultimately arose in our case was a a freeform sleuthing groove involving a) stumbling onto a crazy non-squitor clue via the act of just googlewhacking the database (we ended up striking gold by searching for things like colors: red, blue, green and days of the week and numbers and soforth) and then b) trying our best to extrapolate backwards from the new information to try and backfill or uncover the clips immediately preceding or following whatever it was we just watched. Ultimately Lynette and I DID watch 100% of the clips -- which took us about 3 nights of play -- but we were only able to get to maybe 80% on our own without resorting to a search guide. I feel confident in saying that we hit everything of consequence before we started GameFAQsing and I don't feel bad about it at all - what we 'missed' was all the stuff in the margins -- filler clips with no real significance, such as the little 2-5 second long intros and outros "hello" kind of things: If you analyse the structure of the interviews you can infer that Our Heroine is served coffee or tea at the beginning of each session, so you can search for "sugar" "thank you" etc. to orient yourself at the transitions. Etc. Etc. Obviously in a game like this pretty much 100% of the enjoyment is cerebral. Looking at things like outfitts, props, judging whether or not the woman was wearing that dress or had her hair up or down, seemed nervous or fidgety, etc. Watching water levels in glasses decline as the interview went on... it was all delightfully noir. I was surprised (perhaps I shouldn't have been) that the central thrust of the game wasn't about cracking and unraveling the literal events of the crime, but was instead more concerned with the meta-meat of the story -- the resultant cloud of motive and guilt which hangs over the whole affair. Cold Case as opposed to CSI, if you will. The writing really is fantastic across a number of axes -- to say why in depth right now would be a spoiler post. 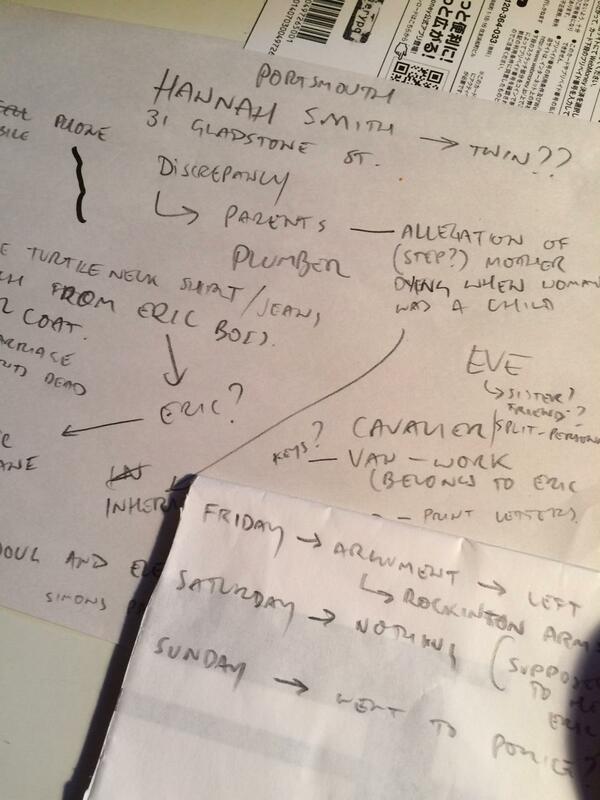 I think one needs to remember that as Sam was writing the script he had to pay attention not just to the basic facts of clue consistency and soforth, but also to the very minute and specific details of THE ORDER the clips are presented as far as returning results in the search engine goes. Try and write a script where you have to make sure that searching for keyword X brings up dialogue Y (and its relevant clue) close to the FRONT of the experience and that you also don't accidentally include references to charged words anywhere near the beginning that you might need to include in the finale as clutch "a-ha!" nuggets. There were about five or six times during the course of investigation where Lynette and I typed something on a hunch only to BAM hit a 5-unviewed-video treasure trove of results. "HOW CAN THEY HAVE NOT USED THAT WORD BEFORE __ANYWHERE__ IN THE LAST 2 HOURS?"... but they didn't. I suspect that accomplishing this gameplay goal is MUCH HARDER than it looks. The subtitle thing is truly brilliant. Is it a spoiler to say that when you "beat" the game one of your rewards is being able to unlock 15 clips in the returned YouTube search results instead of 5? This one seemingly minor adjustment totally upends the difficulty curve of the whole game, trivializing searches that were tantalizingly opaque with only the five video returned limit. I understand why people online are frustrated at that initially arbitrary 5-search handicap, but honestly punching at the confines of the '90s era interface is kinda the entire point of the game. Otherwise you're not playing Dragon's Lair, you're just watching Dragon's Lair on YouTube -- watching a multi-hours long solo performance without any of the actual work. As an aside, whoever this actress is, she totally nails her role. The performances are pretty great... even if her delivery is sort of taken straight out of the Royal Academy of Thea-TAH. I want to be careful about ruining the well-crafted nature of the experience, so I think I'll just say at this point that both Lynette and I ultimately arrived at very different, both totally well-reasoned conclusions at the end of the day about certain aspects of the drama and that some light google searching post-fact confirms that this ambiguity was indeed deliberate on the part of the writer. It's not that details about the crime are vague when all is said and done -- they aren't. The real gotcha is that in true detective fashion, the CONCLUSIONS you as the detective must ultimately draw from the evidence are left up to you, the player. The game will not hold your hand in this regard. To "win", you must ultimately solve the crime to your satisfaction within your own head -- it's a Sherlock Holmes Crimes & Punishments results screen except with no prompting or clueing about whether you actually made the "correct" choice. Unsurprisingly, if you want to find huge Internet threads full of people fiercely arguing the objective "truth" behind Her Story such things are very easy to find. Sam Barlow definitely instigated this kind of chaos BTW -- his ultimate intention is very much evident. The writing and planning and iteration that Sam must have gone through to achieve his vision is remarkable though. It's one thing to write a compelling mystery. It's another thing entirely to write a compelling mystery that can be **read to a satisfying conclusion** with enough maybe-coulda to provoke flame wars on the Internet. Unquestionably this is a game designed for those who enjoy their interactive entertainment smooth and cerebral. It's very much Voight-Kampf the game. Thinky, slow, meticulous... an experience that begs a notepad and paper and a strong whiskey by your side. A game which demands that its players possess both patience and a clever, analytical mind which by definition makes it something "not for everyone". No reflexes on display here, just cool halogen flickers, HDD hums and an enigmatic woman whose character you must evaluate and judge based on a handful of scratchy VHS recordings. I love this game and would absolutely play more in this style. Not too often you see something come along that might rightly be referred to as a completely new genre of video game, eh?. It's great to see gaming diversifying into different streams of experience, especially ones geared more for the over-30 crowd. 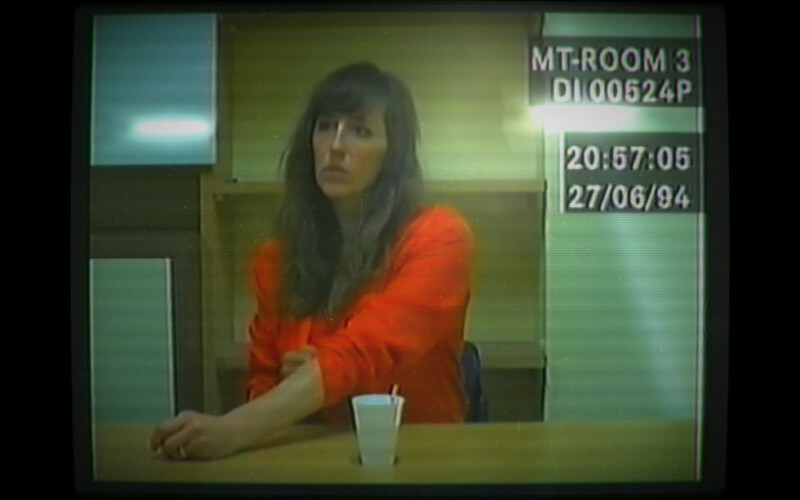 Her Story sadly can't be GOTY since The Witcher came out in 2015 (duh) but I feel this experience shouldn't be missed, and deserves some kind of special award for excellence in pushing the medium forwards. Best use of FMV ever in interactive entertainment? Certainly you can, ahem, MAKE THE CASE. Can't argue with any of the above! My notation was Frank Blackian, written on copy paper in a scrawling, meandering mess. Actually, that's probably more Jonathan Creekian. Some of the topics were quite close to home for me, so it added an extra layer to the already rather intimate proceedings. Funny that, given the absolute dislocation. But that is indeed the curious voyeurism of rolling through the footage and parsing the one-way conversation. Really awesome stuff. As promised I will play this, so I am skipping the longer discussions for now. Maybe this week! Did you just reference Jonathan Creek? Be still my fluttering heart.